Dräger is a leading international company in the fields of medical and safety technology. Founded in Lübeck in 1889, Dräger has grown into a worldwide, enterprise in its fifth generation as a family-run business. Our North American corporate headquarters is based in Telford, Pennsylvania – just north of Philadelphia, Pennsylvania. Our long-term success is predicated on a value-oriented corporate culture with four central strengths: close collaboration with our customers, the expertise of our employees, continuous innovation and outstanding quality. 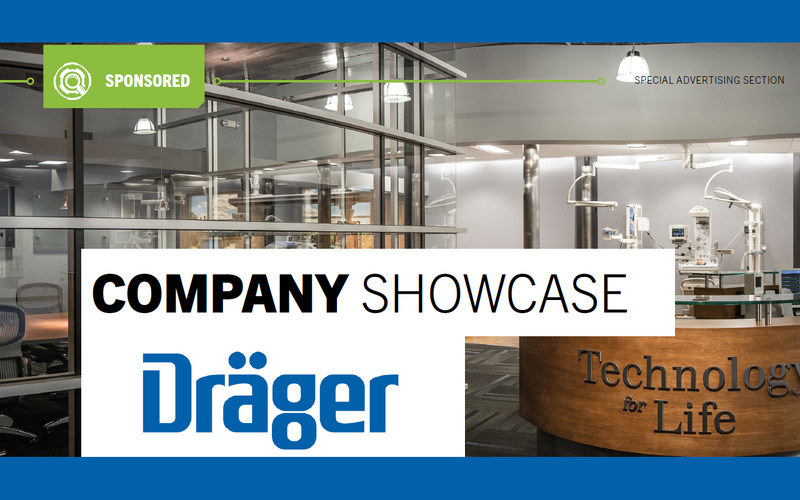 Dräger, Inc. Director of Marketing, Perioperative Care, North America David Karchner recently shared more details about the company. Q: What are some advantages that Dräger has over the competition? Karchner: Anesthesiology has been a driving force behind our company from the very beginning. 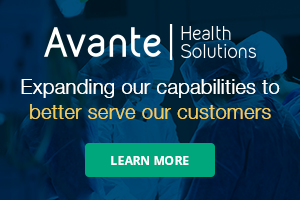 In close collaboration with our customers, we leverage our extensive experience to develop anesthesia solutions that support a high standard of care and reliability while enabling our customers to realize a financial ROI. Our broad operating room portfolio, which includes architectural solutions/medical lights, anesthesia machines, patient monitors, clinical IT, accessories, and service allows our customers to build an ideal operating room environment geared toward their own clinical and financial outcome initiatives. Q: What are some challenges that Dräger faced last year? Karchner: Healthcare is quickly transitioning from the traditional “fee-for-service” model to a “population based health” based model. As a leader in the field of anesthesia, Dräger has been asked to collaborate with our customers to not only come up with new methods to drive down costs, but also assist our customers in improving population health, which ultimately has the ability to improve our customer’s financial health more than ever before. It’s a challenge for healthcare in general, but it’s also an incredible opportunity for Dräger to demonstrate our unique capabilities in the operating room. Q: Can you talk about the company’s core competencies? Karchner: When you invest in integrated solutions from Dräger, the value you receive from devices and technology is just the beginning. As a true collaborator, we work closely with our customers to elevate their value through consulting, education, service, and support. Not only can we help improve OR performance, but also ICU and NICU performance as well. We can do so by offering solutions that help improve outcomes, optimize workflow and workspaces, streamline data capture, and support consistent use with common user interfaces and operating philosophies. Ultimately, we believe the solutions we offer can elevate care for patients and help customers realize financial value in entirely new ways. Q: What product or service are you most excited about right now? Karchner: The Perseus A500 is the latest anesthesia workstation from Dräger. Designed from the beginning with patient monitoring, clinical IT, service and accessories in mind, its space-saving profile can easily integrate into your OR workspace while helping to improve cable management and streamline hygienic reprocessing. Consistent with the Dräger anesthesia portfolio, the Perseus A500 is optimized for low- and minimal-flow anesthesia delivery to support a financial ROI for customers. Fresh gas flow efficiency technology (Low Flow Wizard) which has proven to help customers reduce anesthetic agent costs, sample gas recirculation to the breathing system to reduce anesthetic agent waste, and a heated breathing system designed prevent rainout all support consistent low- and minimal-flow anesthesia delivery. To help customers deliver and maintain a high standard of care, Dräger introduced the TurboVent2 ventilation technology with the Perseus A500. Like our piston ventilation technology on the Apollo and Fabius family anesthesia workstations, the Perseus A500’s TurboVent2 supports ICU-level therapy capabilities – with value-add performance. CPAP in Man/Spon, Airway Pressure Release Ventilation (APRV), and an open breathing system design are just some of the therapy value-adds the Perseus A500 can deliver for customers. 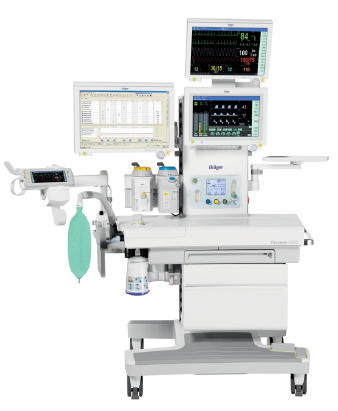 While the Perseus A500 is an extremely flexible anesthesia workstation that can be tailored to the unique needs of our customers, consistency with the entire Dräger anesthesia portfolio was a critical point in its design. The user interface, fresh gas controls, vaporizers, and accessories offer a high-level of consistency with the current Dräger anesthesia portfolio which promotes consistent use and device care. Q: What is on the horizon for the company? Karchner: In the operating room, you can look for Dräger to continue to deliver innovative anesthesia workstations at the highest of quality. It’s what we’ve done more than 125 years, and we’ve excelled at it. However, as we discussed previously, the business of healthcare is quickly changing from a “fee for service” model to one of “population health.” Look for Dräger to provide new value added offerings and services designed to demonstrate our ability to provide value in “Critical Care Performance,” where Dräger will demonstrate our unique ability to improve our customers’ clinical, operational, and financial performance in the operating room, ICU, and neonatal care areas. Q: What are some recent changes to the company? Karchner: A recent addition to the North American headquarters is the advanced Dräger Healthcare Design Center. The “Design Center” provides our valued customers the ability to look beyond a “medical device purchase” and gives them the opportunity to strategically plan a “work space” that has the opportunity to improve population health in their geographic area. Q: What is most important about the way Dräger does business? Karchner: “Technology for Life” is our guiding principle. Wherever our technology is deployed – in clinical settings, industry, mining or emergency services – it protects, supports and saves lives. We support this guiding principle with a customer intimacy that shapes both our long-term vision and our day-to-day operations, our employees who make a difference in the lives of our customers, responses to human needs with technical innovation, and product and service quality for solutions that our customers rely on to sustain and improve life. For more information, visit www.draeger.com.